The Open Web Application Security Project (OWASP) Los Angeles Chapter is teaming up with the Orange County, Inland Empire, San Diego, and San Francisco Bay Area chapters to bring you the Fifth Annual AppSec California. ITSPmagazine readers get 20% off. Use the code AppSec20off to secure your discount! The event is a one of a kind experience for information security professionals, developers, pentesters, QA and testing professionals, as they gather at the beach from around the world to learn and share knowledge and experiences about secure systems and secure development methodologies. Full day training classes on various subjects by the top trainers in the world kick off the conference on January 28th and 29th. Conference keynotes and sessions by world renowned speakers follow on January 30th and 31st. 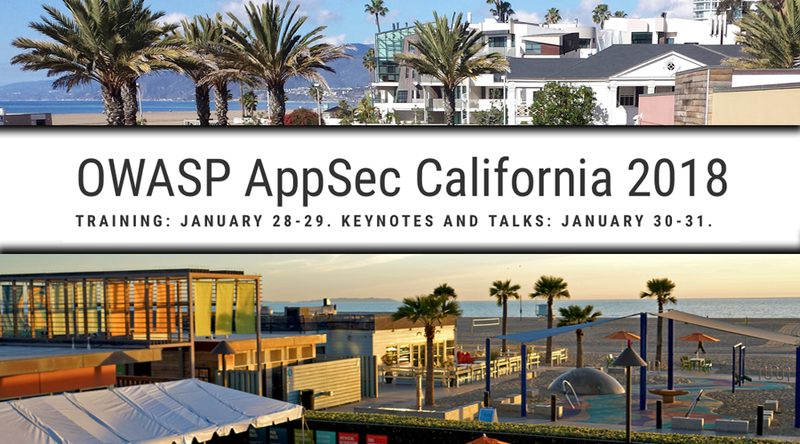 In this Their Story podcast, Richard Greenberg, the OWASP Los Angeles chapter president, connects with Sean Martin to provide an update on the upcoming 2018 AppSec California conference being held January 28th to the 31st in Santa Monica, California. Rahim Jina, COO for Edgescan, talks with Sean Martin about the DOM-based web application data exfiltration detection tool Edgescan will be putting out to the open source community. The new tool will be released and presented during the 2018 edition of OWASP's AppSec California event being held in January 2018 in Santa Monica, CA.